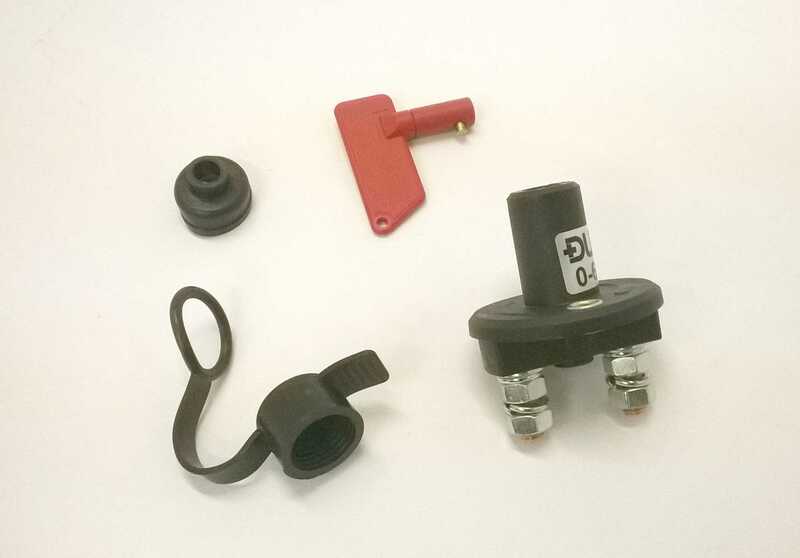 A 100A battery isolator switch with removable key, splash guard and cap. We recommend fitting a battery isolator switch to every vehicle installation. They allow the battery to be disconnected quickly in an emergency. They make it easier to disconnect the battery for maintenance work. They can stop any residual current drain when the vehicle is in storage. The BIS-100 is rated at 100A continuous and 500A for 5 seconds. The cable studs are 8mm.